Choose from one of our three Price Plan options above or call us free on 0800 999 0400 to order over the phone. 24/7 monitoring, 365 days a year from our expert TSA Accredited Care Team. Plug & play Lifeline Vi alarm unit. All cables and power supplies provided. Elastic strap for wearing pendant around the wrist. Cord for wearing pendant around the neck. Free Next Day Delivery (Excl. Sunday) is offered on all Lifeline alarms ordered before 5:00pm Monday - Friday and 12:30pm on Saturdays. These faster delivery options are available at the checkout. Keysafes are a safe way of ensuring that when help arrives they can access your home. 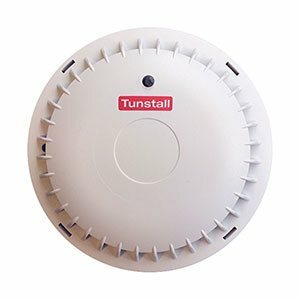 We also offer smoke detectors that work with your Lifeline Alarm unit.